Timber venetians add style to any room. 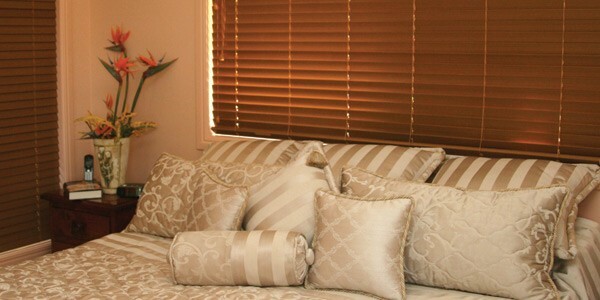 Their classical design provides a timeless and natural window treatment which suits both traditional and modern homes. Their simple, durable function rates highly for shade and privacy, with options available to suit almost all decorating styles and budgets. You won’t believe it’s not timber! Our venetians are constructed using synthetic blades which have a characteristic timber grain appearance. They can be readily raised or lowered before locking securely into position, and simply twist the guide to angle the venetians for instant light, view and temperature control. 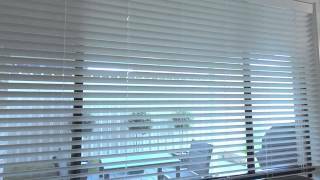 Venetians are a great option for people looking to capture cooling breezes without compromising on privacy and shade. Timber venetians are one of our most functional products. They provide excellent light control opportunities, and are maintenance free and water resistant, which means they work equally well in wet areas such as bathrooms, as well as living areas. 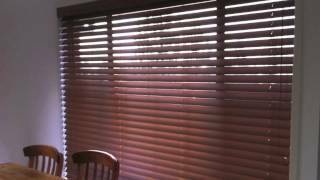 Our Timber Venetian Blinds are finished with traditional pelmets, and tailored to perfection using the very best components and craftsmanship.